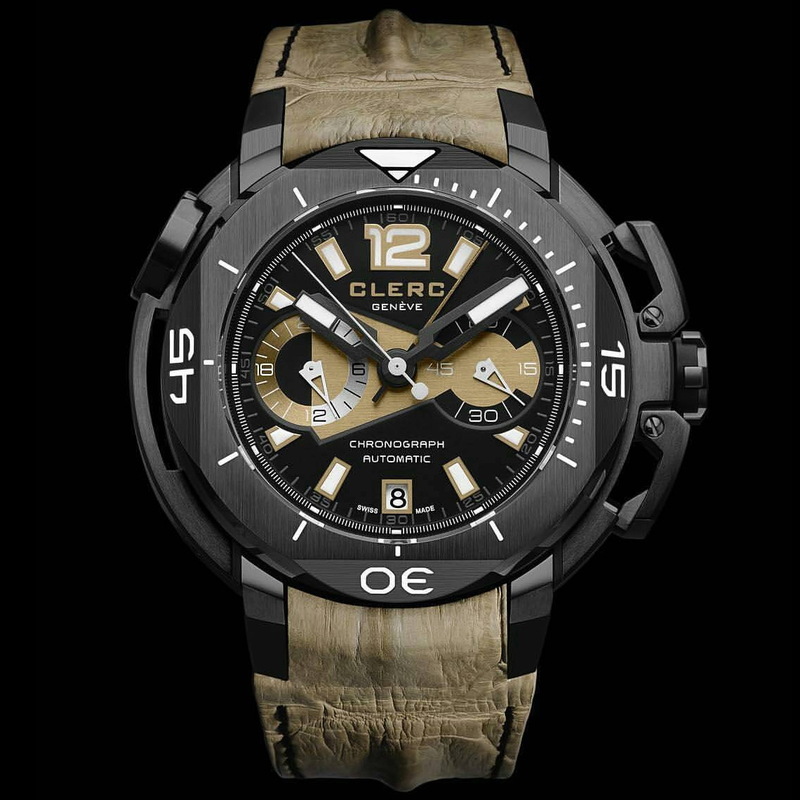 CLERC's Hydroscaph Central Chronograph has many faces! Here's just one of them, a military-inspired look with a stealthy jet black DLC coating and khaki dial elements paired with a matching handmade strap in Louisiana Alligator. However if you're after a more diver-orientated style - look no further than CLERC's iconic Clockwork ORANGE! Thinking of buying a Hydroscpah? Why no read my in-depth hands-on review of the H1 GMT.